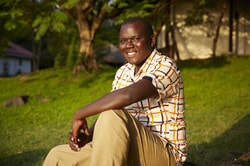 David was born in Yala, Kenya. He moved to Obunga in 1998 and has lived here since then. David holds a BSc. Medical Biochemistry Degree of the University of Nairobi where he graduated in 2010. David believes that the strategies for eradicating the vicious circle of poverty that characterizes the Obunga community must come from within the community itself. 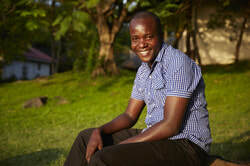 David has a passion for education and health initiatives in the community and is keen to see the implementation of the Akili Library and Information Communication Technology (ICT) Center and Preventive Health Services in the community. David is one of our co-founders and our current Director of Operations. Sheila was born and raised in Suba, Kenya. 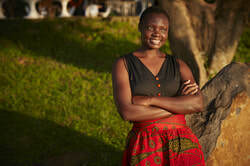 She is an entrepreneur with a Diploma in Business Administration from the Kisumu Polytechnic. She has a passion for taking care of needy children, especially orphans and vulnerable girls. Her vision is to see Akili grow into a model school that offers a safe place for underprivileged girls to thrive in the community. Sheila is our Treasurer. Evelyn was born and raised in Bumala, western Kenya. 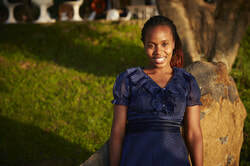 She is an entrepreneur with a background in Information Technology from Zetech College. She has a passion for taking care of children. She has previously volunteered with the New Life Children's home where she enjoyed looking after the kids. She is the Chairperson of the Board of Directors, Riley Orton Foundation.